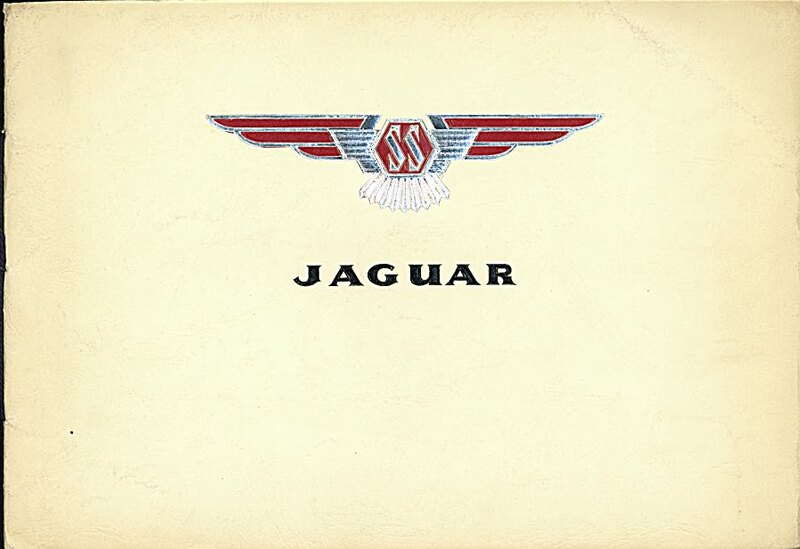 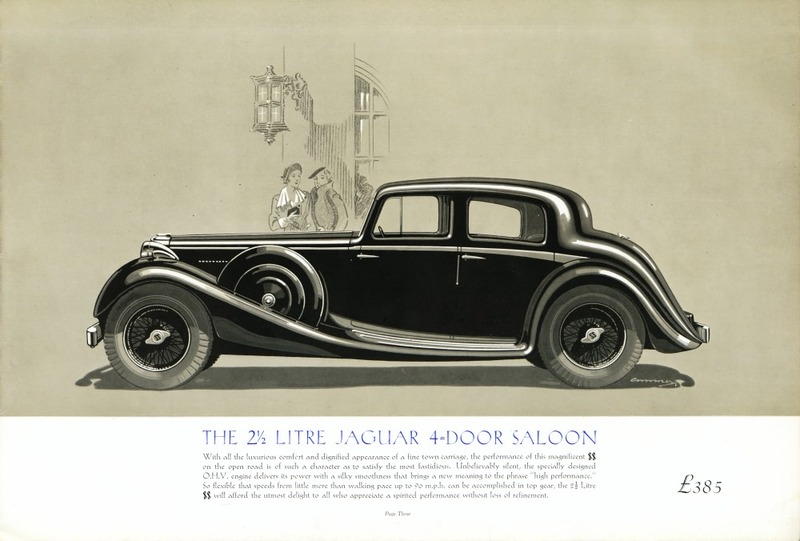 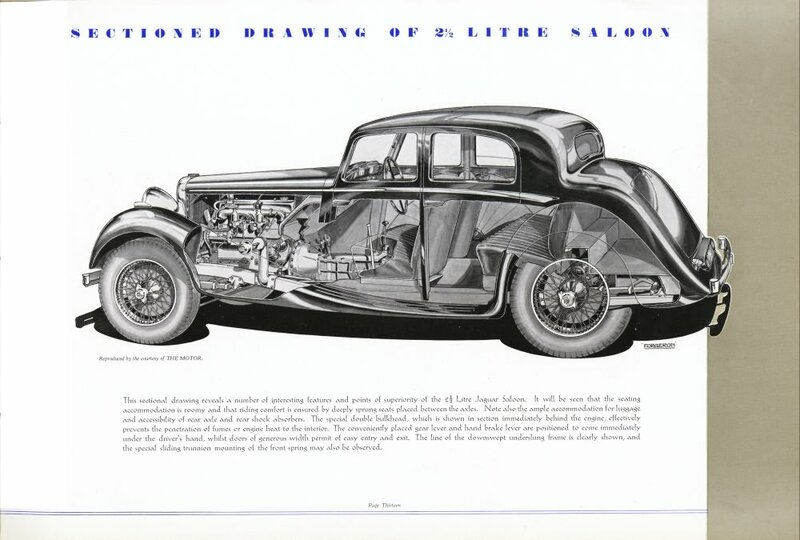 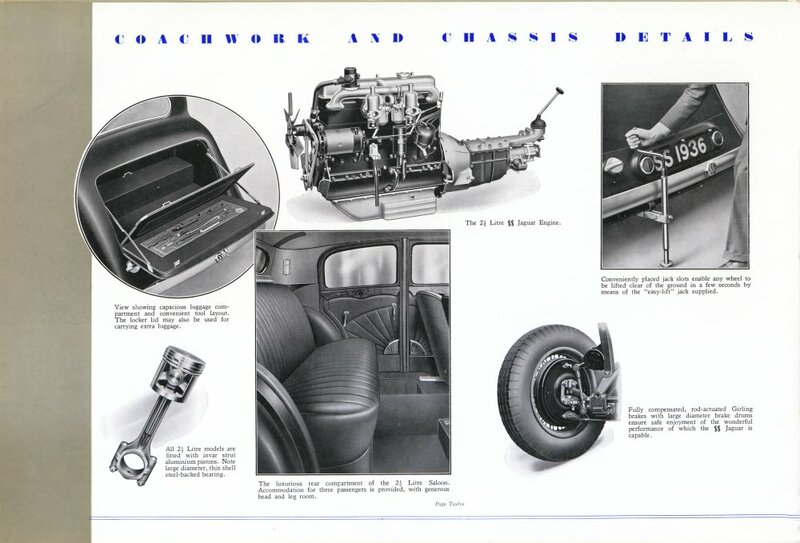 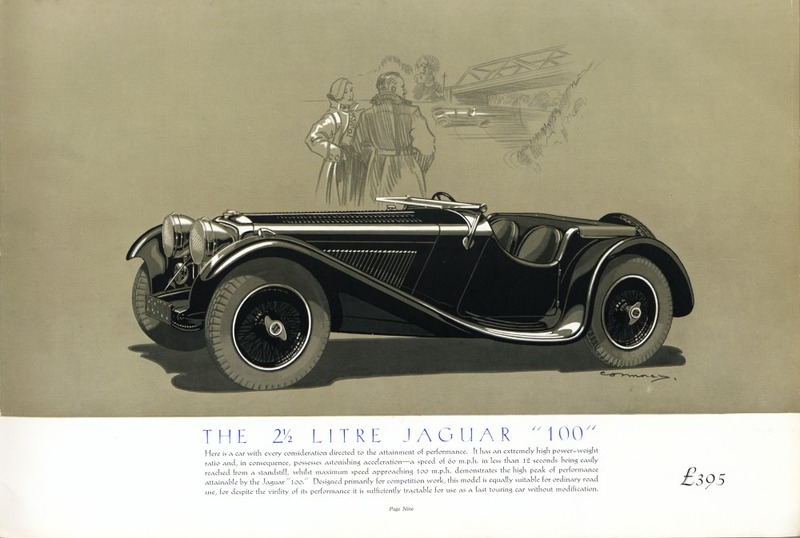 The JAGUAR range prestige brochure for 1936. 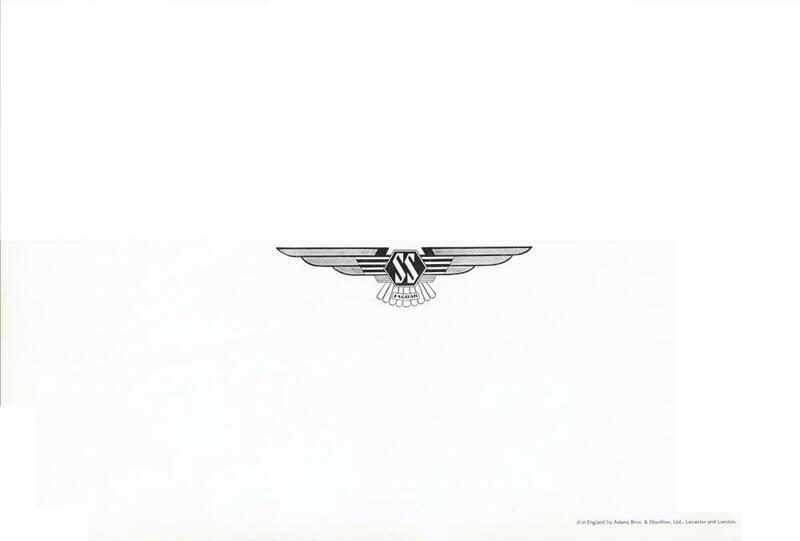 A beautiful item with imitation pigskin covers and embossed full size red and silver SS winged motif on the front. 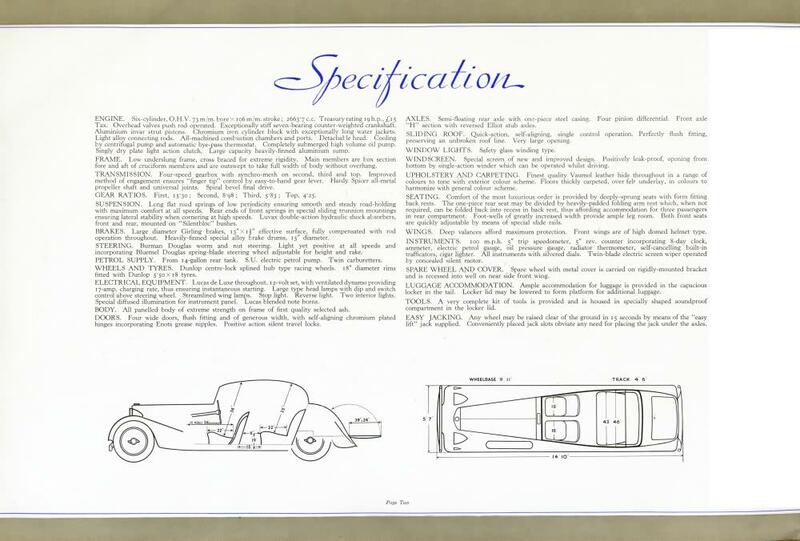 Drawings by Connoley with specifications on left pages. 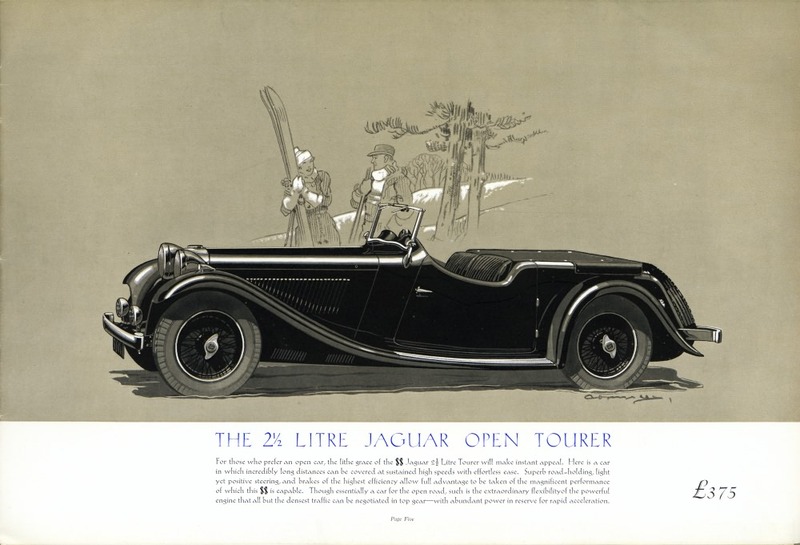 Very rare in mint condition and must have the black cord bindings if you are paying real money. 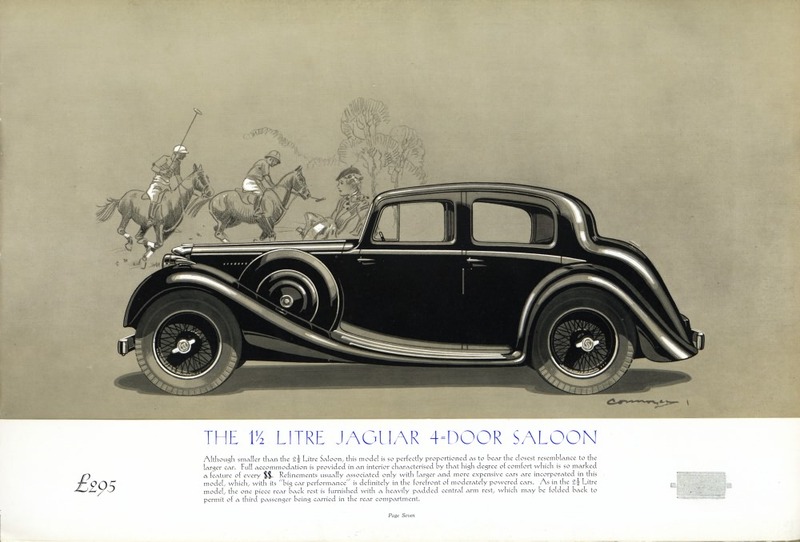 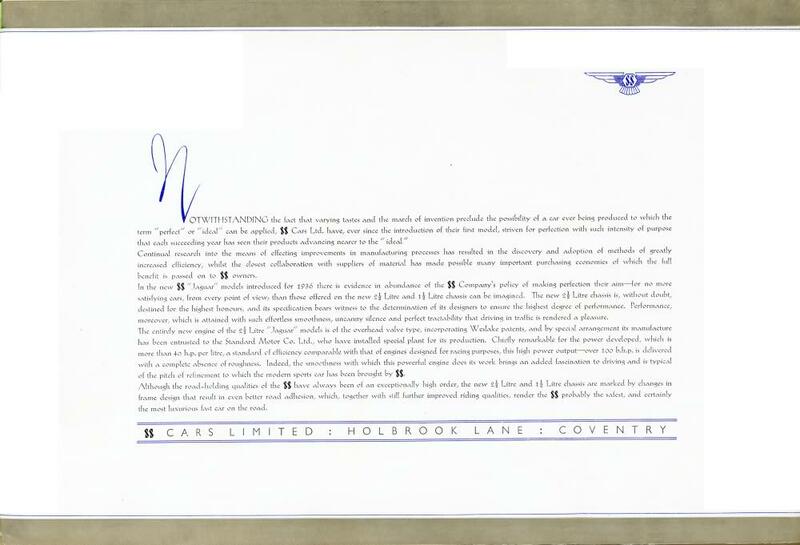 Prices are shown on the left of each drawing although this example has a correction to the 1.5L Saloon price - the original price is blocked out and the new price printed to the left. 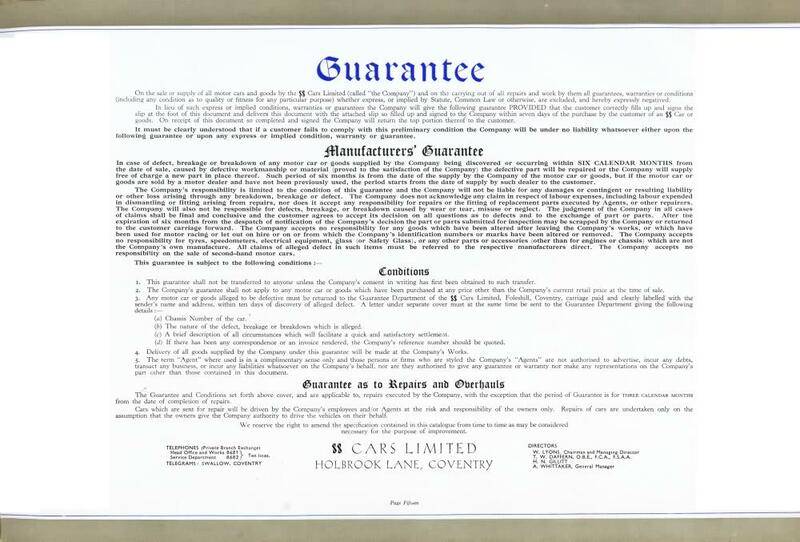 Later examples for this year exist with all prices blocked out. 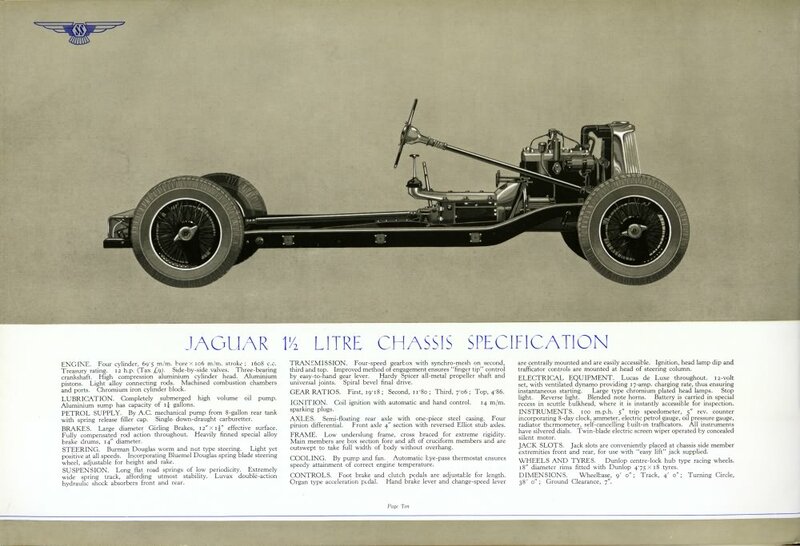 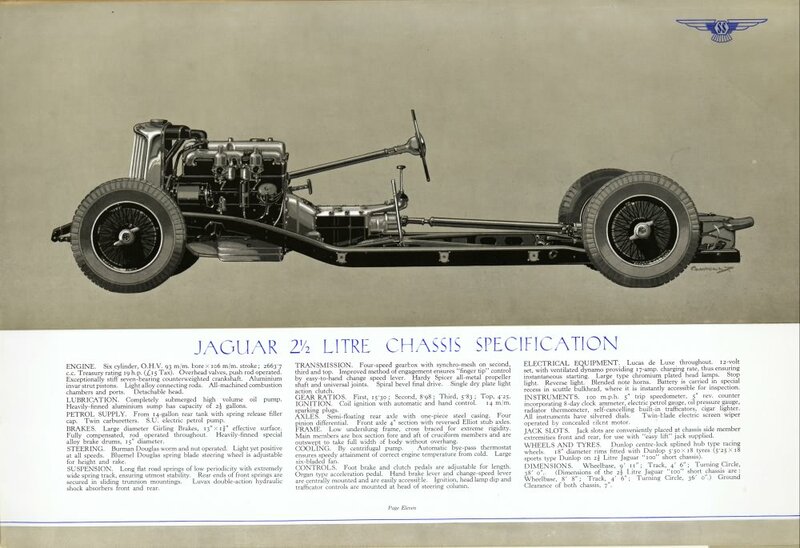 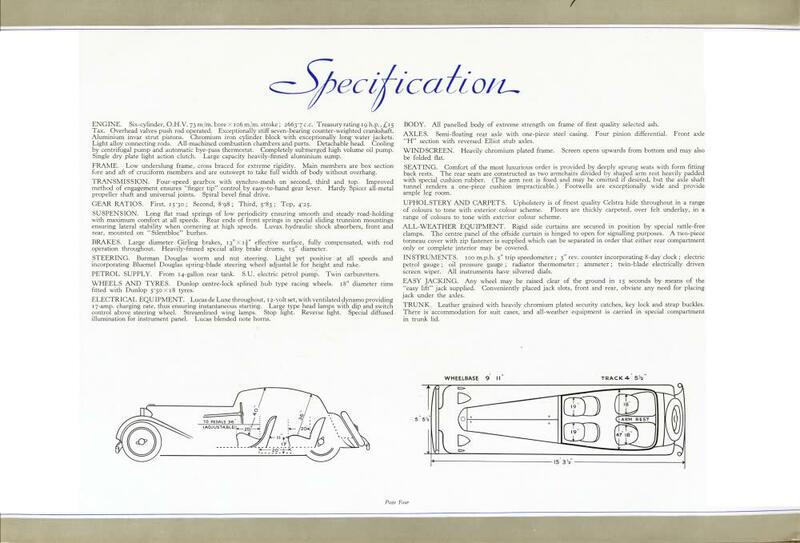 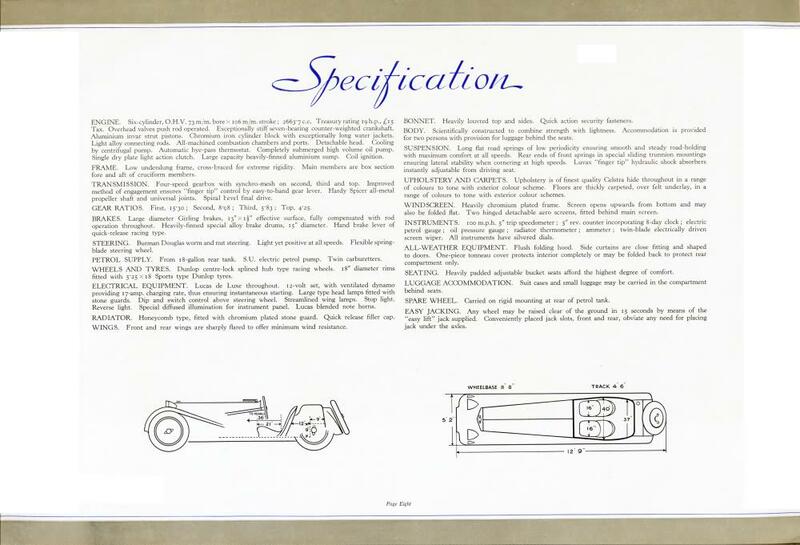 Page 6 has also been reprinted now showing the chassis length as 13ft 11 inches here. 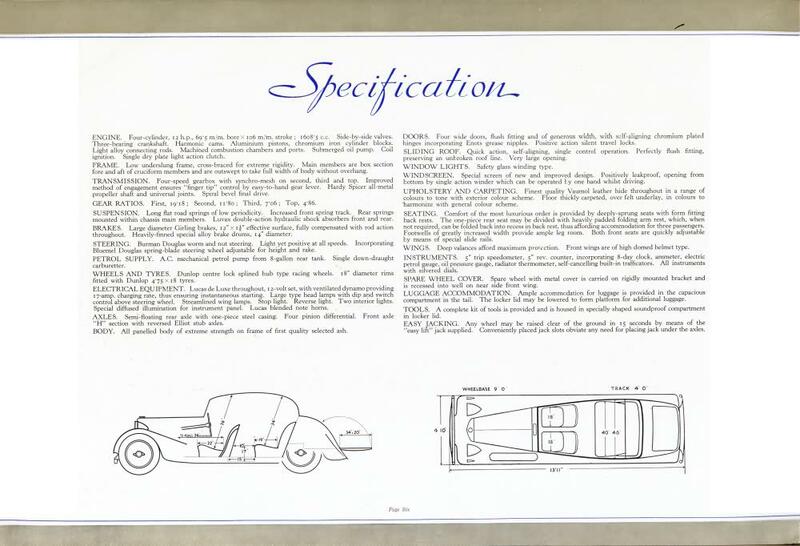 Earlier versions have a red print Errata sticker correcting the dimension of 14ft 2 inches originally printed and presumably there are also examples without the sticker. 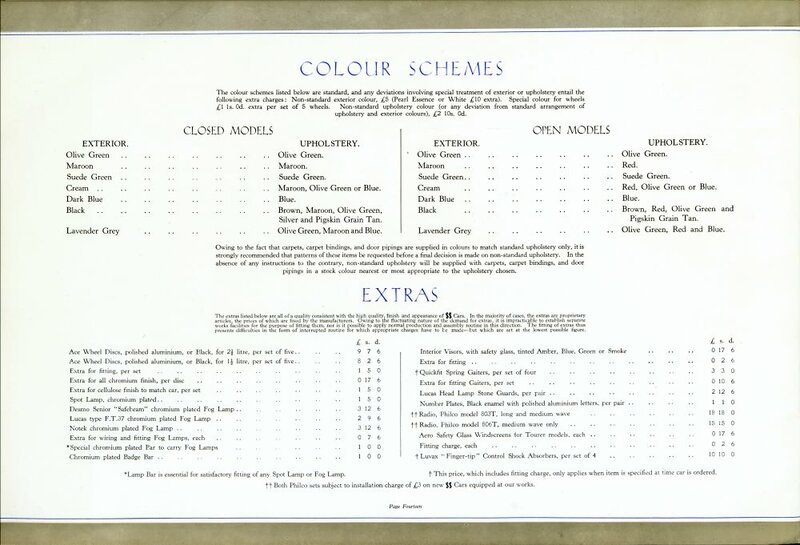 An enhanced version with supplement exists for 1937.